Your roof is crucial to the integrity of your home. With a properly maintained roof, rain just runs off and shoots through your gutters and downspouts. 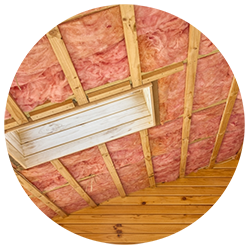 With a damaged roof, rain can make its way into your attic and your ceilings and walls. With a properly maintained roof, snow isn’t a problem. It can settle on your roof by the feet. With a damaged roof, snowfall could be a major hazard. A foot of snow could cause a collapse, and that endangers the safety of you and yours. If you’re buying property, talk to your realtor and be sure to find out how old the roof is on your next home. If you own already, be sure to keep an eye on your roof. If you have shingles, look for visible damage: Are shingles sliding off the roof? Are your shingles bare? If you have a tile roof, look for cracks and tiles that are out of place. If you notice any damage across the surface of your roof, it’s time for a fix. HVAC systems are built to last, but they aren’t built to last forever. Certain components in your HVAC system could last fewer than 15 years. It’s best to monitor the health of your HVAC units, and have them checked at least once per year to ensure that they’re maintained and far from the brink of a breakdown. 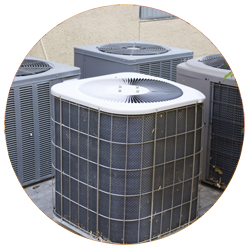 Again, if you’re home shopping, speak to your realtor to ensure that you know the age of the HVAC components in your next home. If you’re a homeowner already, you’ll want to pay extra attention to your furnace. A faulty furnace can be a real hazard, and it’s one of the most dangerous appliances in your home, should it fail. Well, those are our two tips for the day surrounding home maintenance! Check back soon for further tips from your realtor’s blog. And as always, count on Colorado Real Estate Co. for realtor services whenever you’re looking for a new abode!